Revitalised and ready for action! Well, hello there! It’s only been… two-and-a-half years since I’ve last popped in here! I’m still alive. 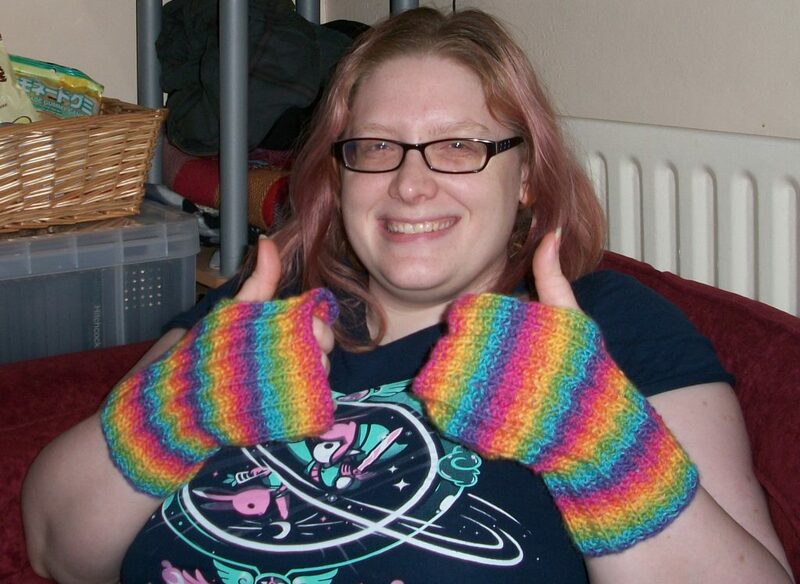 Wearing my Knit the Rainbow Mitts. Pattern published May 2017. As you can see, the site’s had a major makeover. That video up top features my own hands working on something for my brother-in-law. 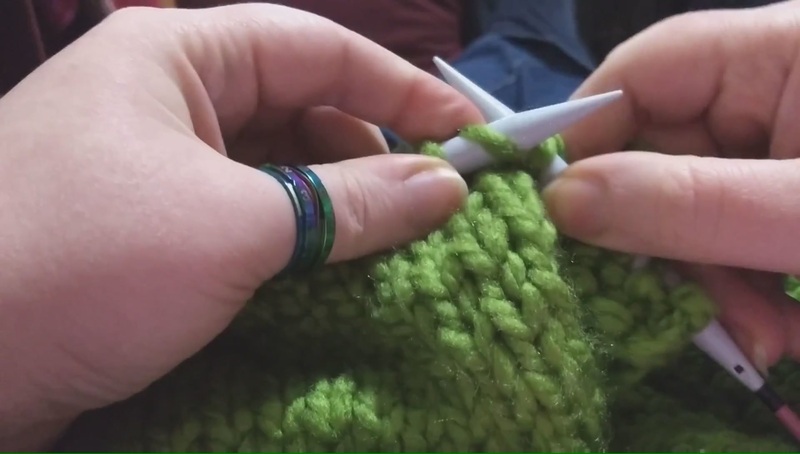 There have also been some updates to the pages listed in the menu, and a whole new page: Patterns, where I’ve collected all of my own knitting patterns to date. This includes two that were previously only available on my even older WordPress site, Emmy Knits. Those in particular have been given a bit of a refresh and spiffed up with the full PDF download treatment. My health has reached a relatively stable state – the mystery illness I was plagued by for so long was actually irritable bowel syndrome, and now that I know that, I have ways of keeping it in check. I’m happy to say I haven’t had to check into the hospital since April 2014. This stability has also afforded me a chance to work a “normal” job again while still leaving me some knitting time. I’m currently an audio transcriber and audio transcription proofreader, which I do fully from home. It’s boosted my self-confidence tremendously. Previous PostPrevious New patterns and… taking commissions again through SKT! Next PostNext Two new patterns!